Attendees will break into teams, each of which will attempt to design a solution, or hack, to address one of the challenges. 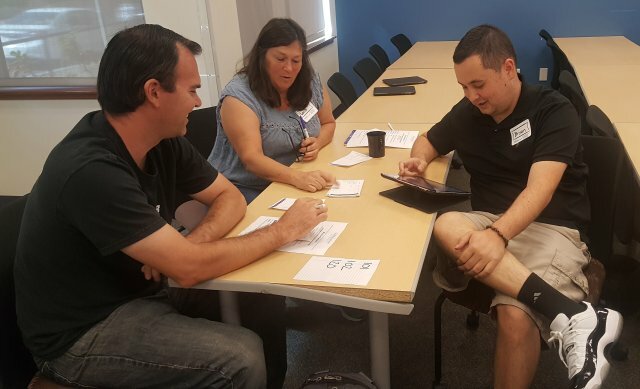 (THOUSAND OAKS, Calif. – March 1, 2019) Teams will compete to design the most creative solutions to challenges faced by people on the autism spectrum during a free event at California Lutheran University. Bring Your Own Brain (BYOB): A Day to Hack Solutions for Autism Spectrum Disorder will be held from 9 a.m. to 2 p.m. Saturday, March 16, in Room 101 of the Swenson Center for Social and Behavioral Sciences on the Thousand Oaks campus. The event will open with a panel discussion featuring two people with autism spectrum disorder (ASD) and a parent of a child with autism. They will talk about the challenges they face at work, at school and in the community. Each panelist will decide which challenge is the most pertinent to him or her. Then, attendees will break into teams, each of which will attempt to design a solution, or hack, to address one of the challenges. At the event’s conclusion, the teams will share their hacks, and participants will vote for the most innovative. Prizes of $50 per person will be awarded to the winning team. While hack-a-thons are common in the tech industry, this is a new approach for the autism community. Cal Lutheran’s Autism and Communication Center held one last year for the first time. The event is sponsored by the center and the Graduate School of Education. Cal Lutheran opened the center in 2016 to promote practices that support inclusive communities and schools. Augmentative and alternative communication strategies are a primary focus. Today, one in 59 students is diagnosed with autism. The event is open to anyone, but would be best for those in high school or older. Cal Lutheran undergraduate students, including those planning to become teachers, will be among the participants. Registration is required at CalLutheran.edu/autism. For more information, email Spence at mspence@callutheran.edu.